Newly converted cosy one bedroom self contained cottage. 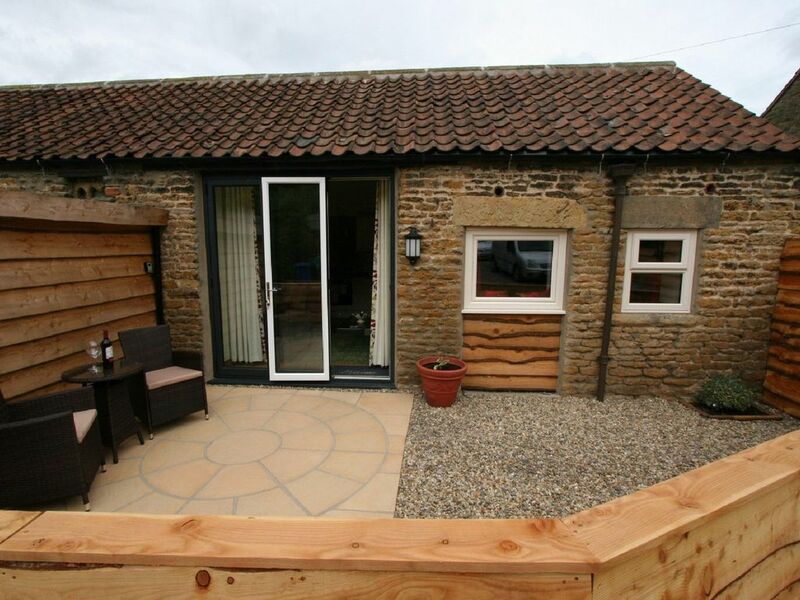 Situated in the beautiful rural village of Ruston, North Yorkshire. Guest parking, private enclosed courtyard with patio, Bi-folding doors leading to well appointed lounge, diner & fully equipped modern kitchen. Bedroom with king sized bed, hanging space, full length mirror and television leading to en-suite Shower room with shaver socket. USB Sockets are available in both kitchen and bedroom. and within easy reach of North Yorkshire Moors, Scarborough, Whitby, Pickering, Filey, Bridlington and Malton. Steam Train from Pickering to Whitby , Flamingo Land, Dalby Forest Robin Hoods Bay, Goathland [Heartbeat Village], Downe Arms Hotel (10 Minutes walk away serving food daily), SPAR convenience store with petrol station (3 miles), rural dog friendly walks.